Please consider supporting the AGSS Memorial Foundation with a donation of any amount. All proceeds will benefit the AGSS Memorial Foundation and help us to continue supporting families challenged by cancer. We appreciate your support! 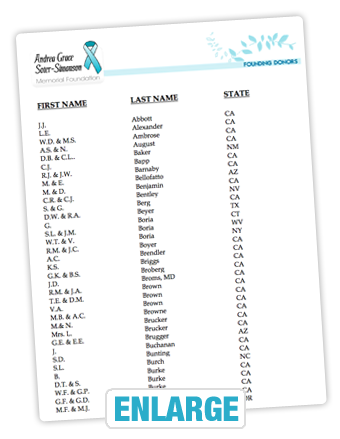 Andrea’s Foundation is A 501(c)(3) public benefit charitable corporation – EIN 26-2979142. Thank you to all the AGSS Memorial Founding Donors. 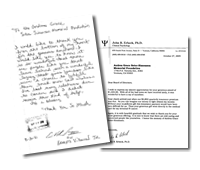 Please see our letters of appreciation, in order to understand the difference that the AGSS Foundation is able to make in so many lives.